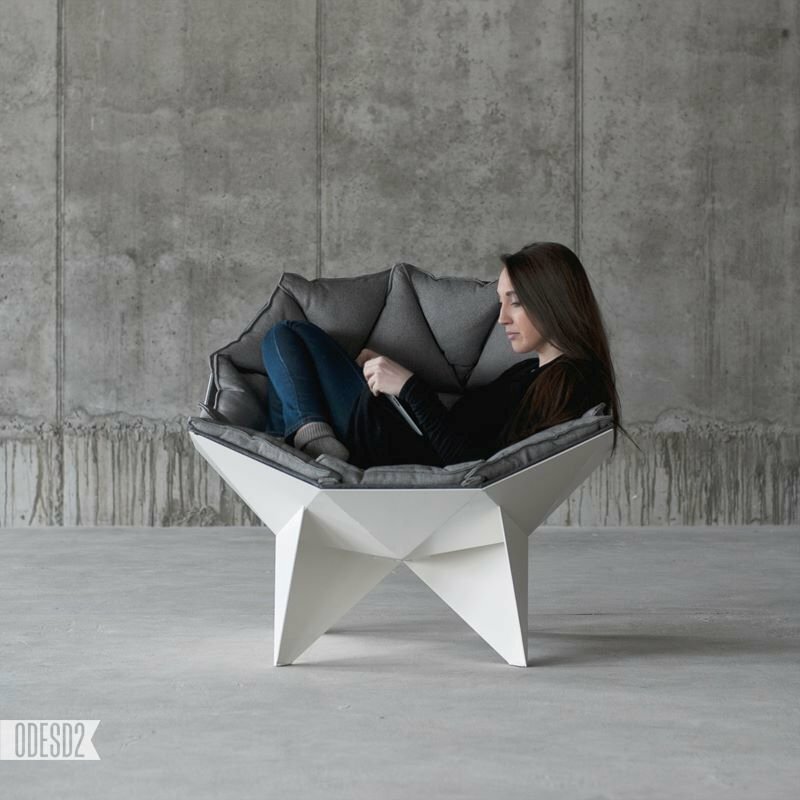 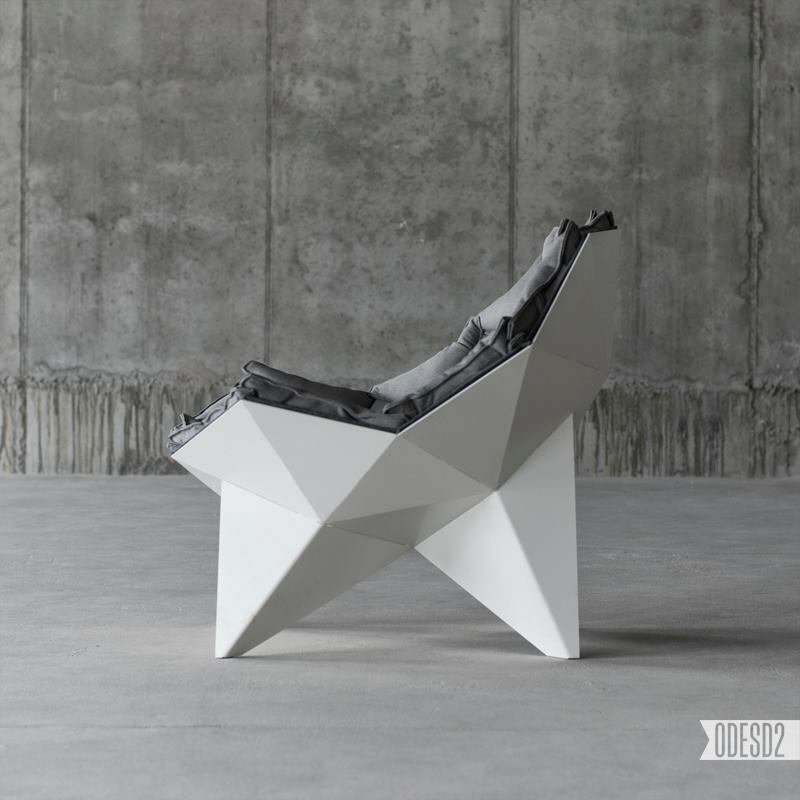 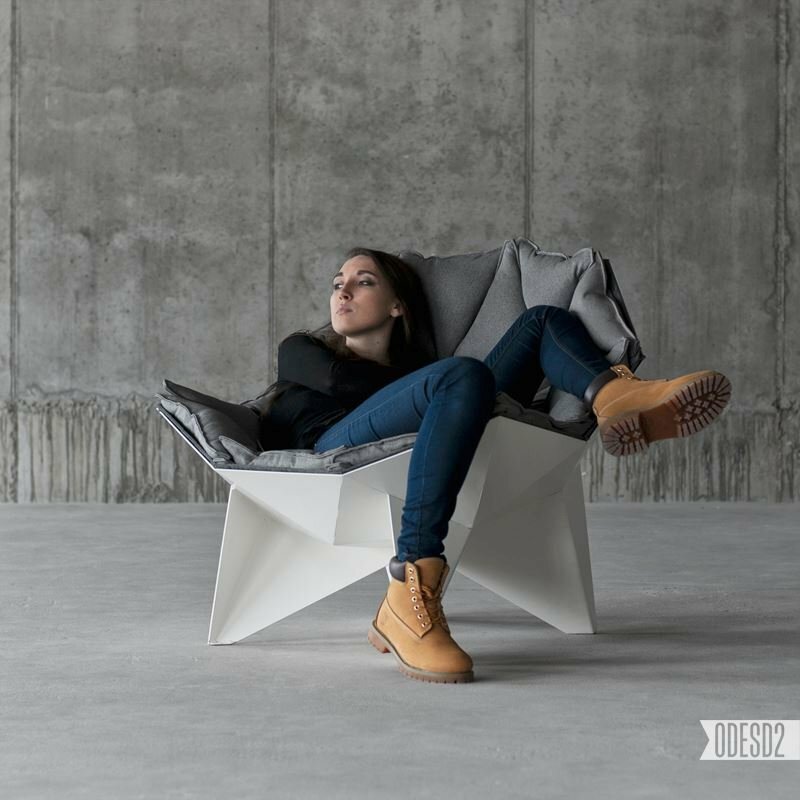 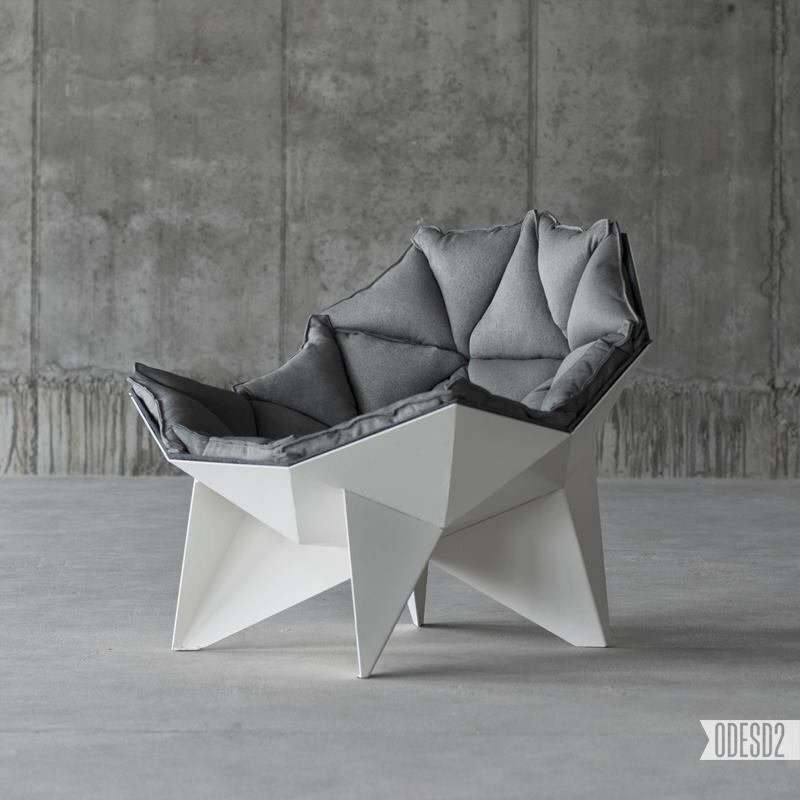 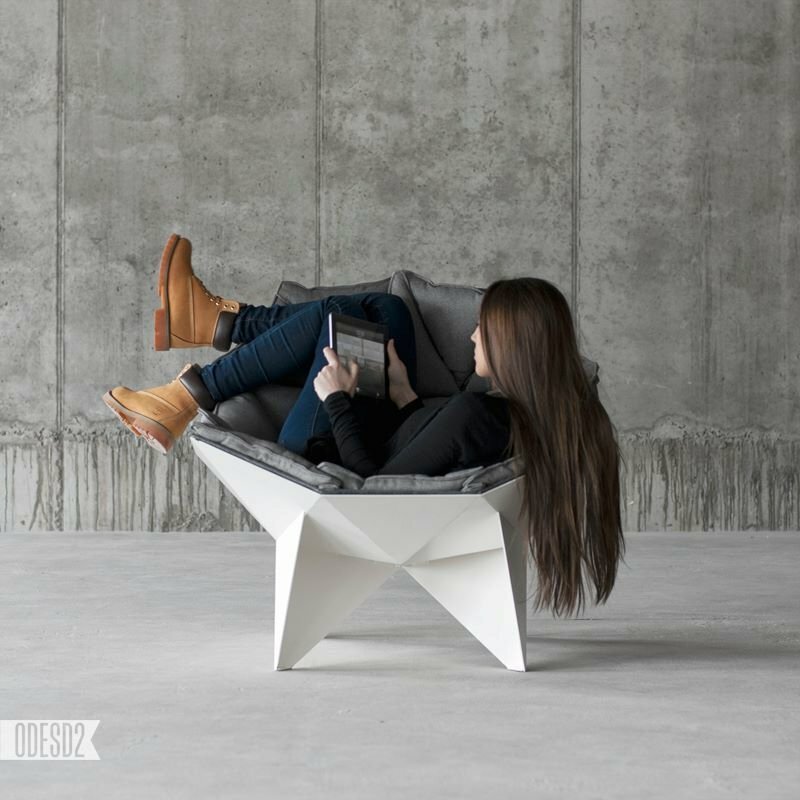 The Q1 lounge chair has been created by the Ukraine-based designers Zbroy Svyatoslav and Dmitry Bulgakov of studio ODESD2. 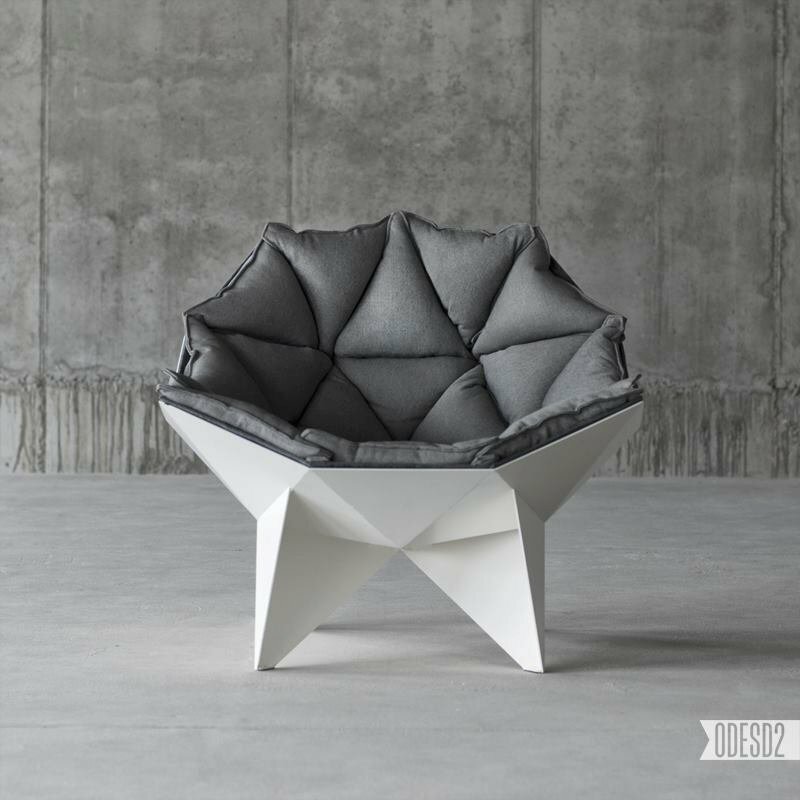 The chair is based on Buckminster Fuller’s spherical thin-shell structure and is suitable for both home and public interiors. 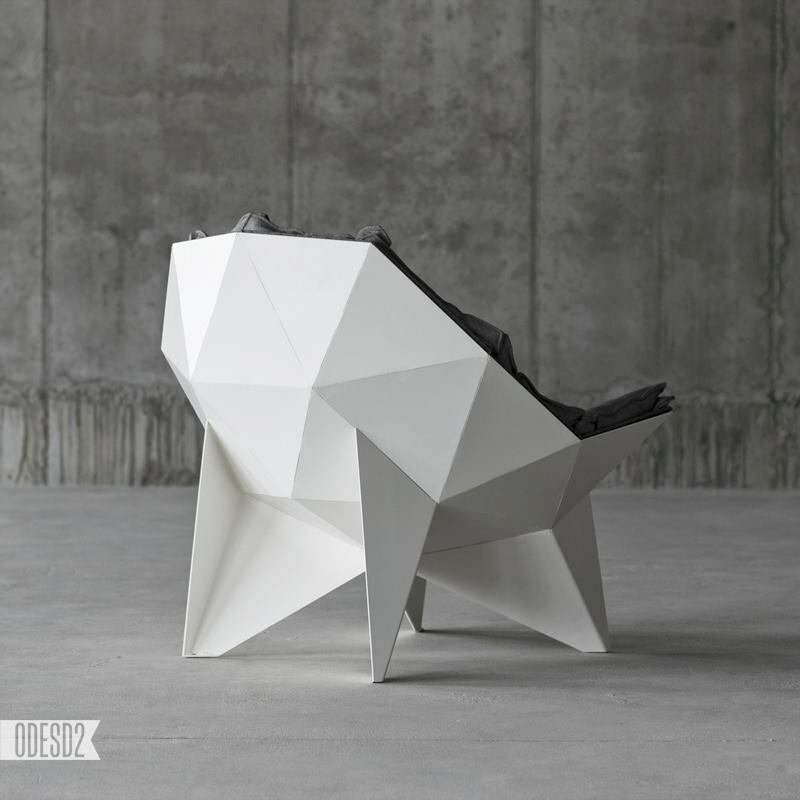 “It is based on Richard Buckminster Fuller’s spherical thin-shell structure, which is used for creating the geodesic domes. 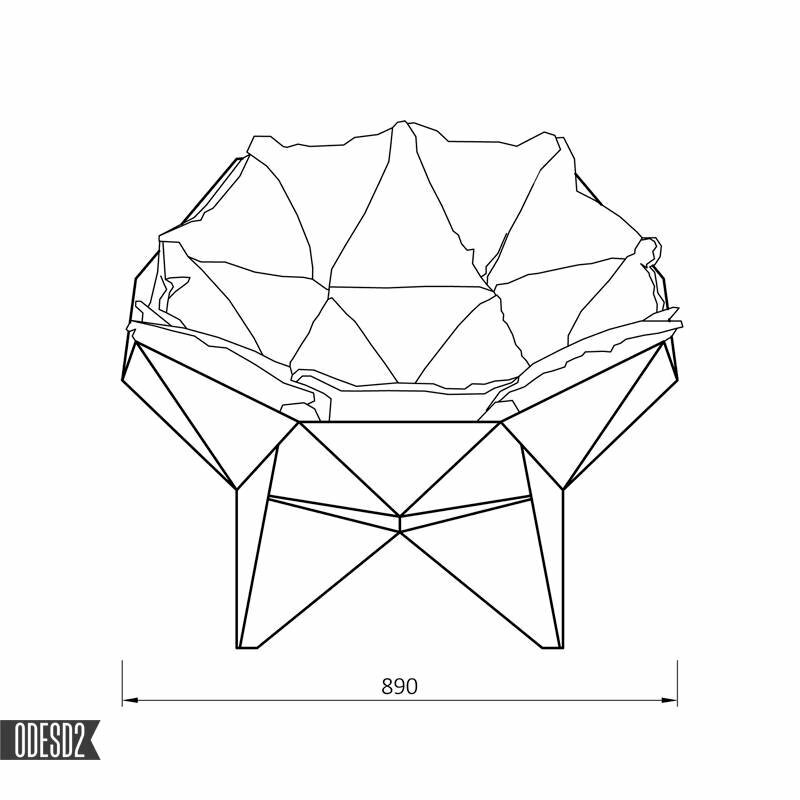 As is known, such domes have high load carrying capacity, but can be rapidly created of the light elements. 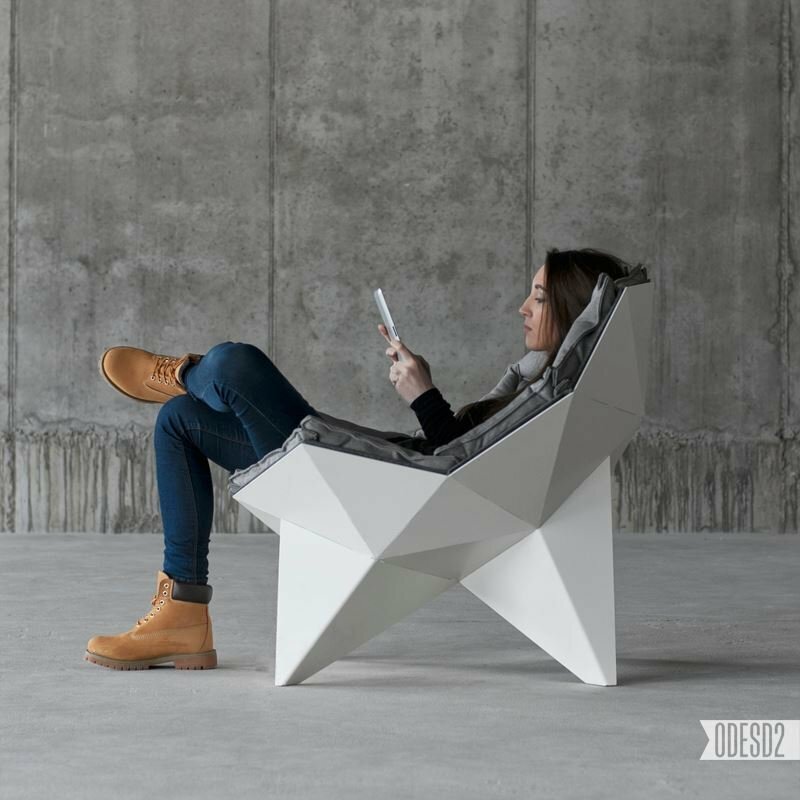 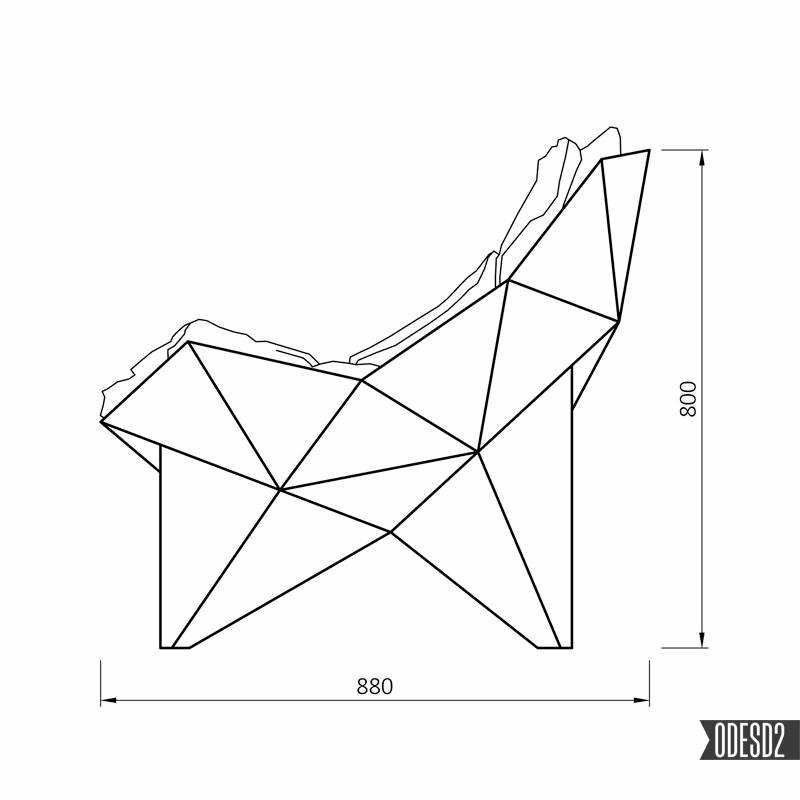 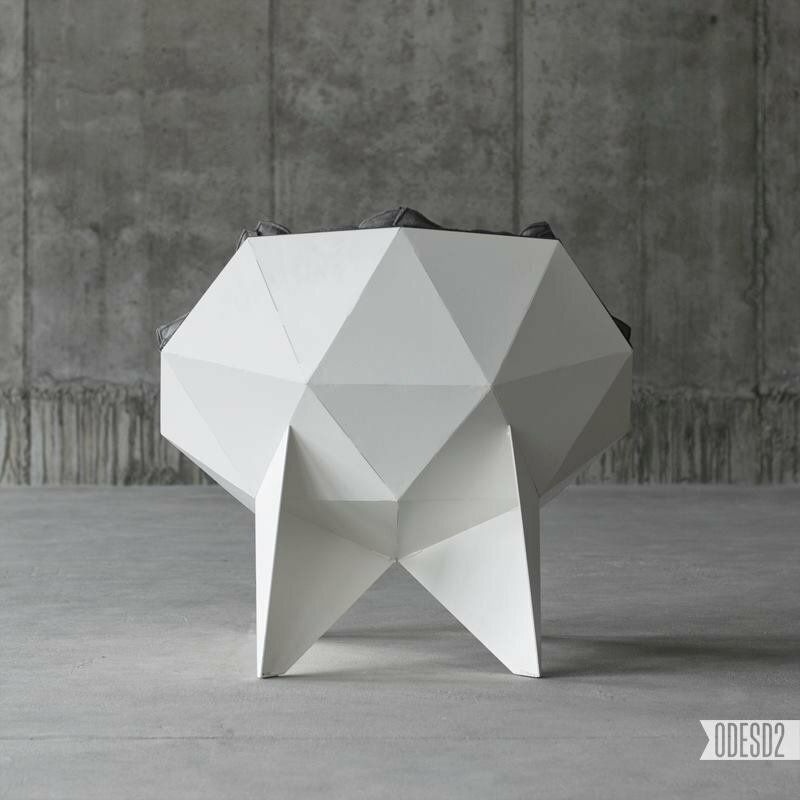 Q1 chair like geodesic dome: it can withstand heavy loads, while remaining visually easy. 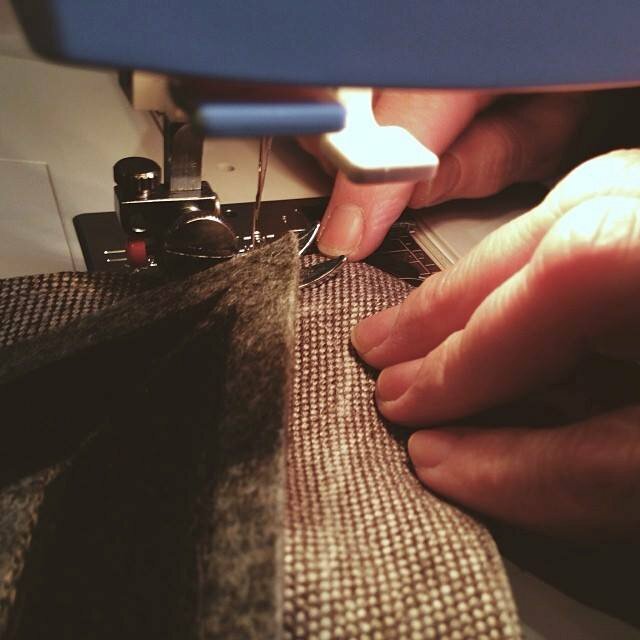 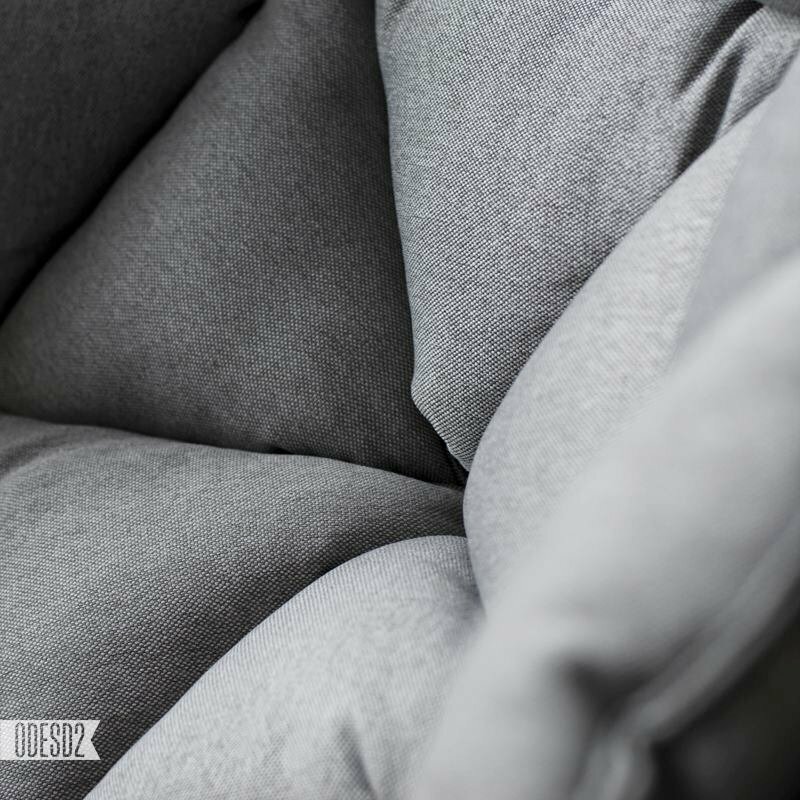 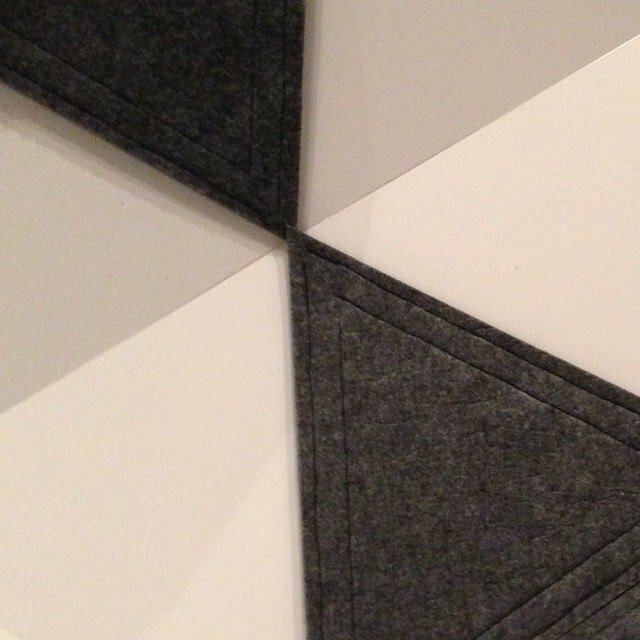 The inside of the chair upholstered with felt to keep warm, soft parts are made of chenille with flocking substrate. 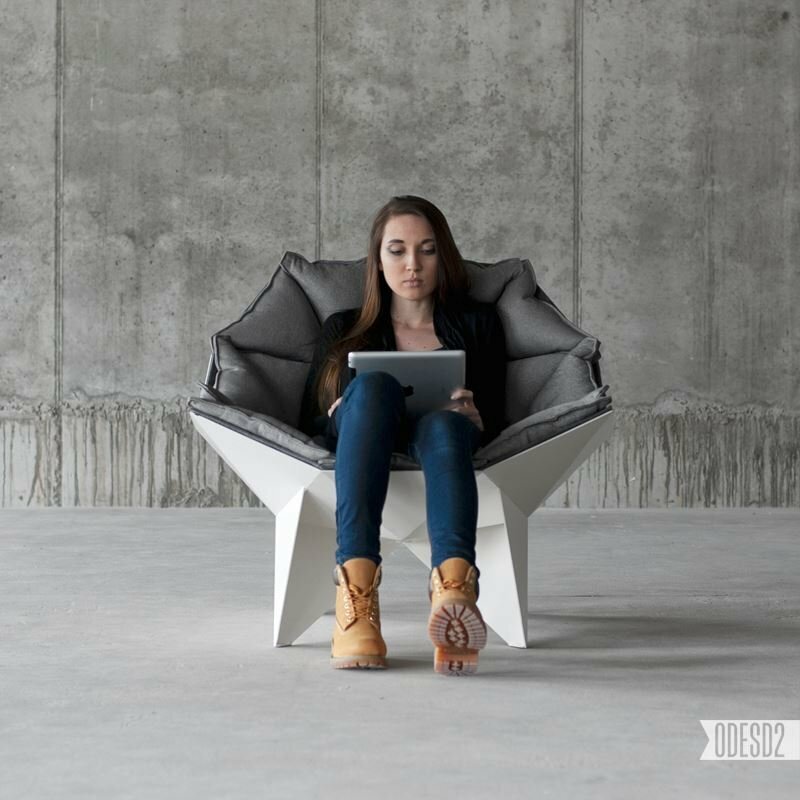 Hollowfiber® is used for filling, it’s an environmentally friendly synthetic material capable of retaining its shape, unlike classical fillers.